Prepare to see an explosion of cosmic purple during 2018. The colour company; Pantone, announced it’s colour for 2018 as UltraViolet. We love it so much that we’ve changed the purple in our logo. If you’re using Microsoft Office (i.e. Word, Excel etc. ), then the RGB colours are most suitable for screen-use. 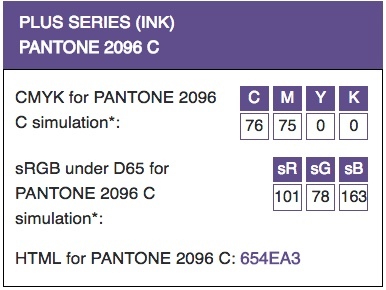 If you plan to print out any of your documents commercially with a print company (like Essential Print Services), then use the CMYK codes. 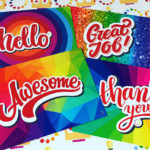 By using the CMYK codes, the colours you use in your document will be represented better in print. Don’t worry if the CMYK colours look dull on-screen, this is normal. You can use UltraViolet on your website. If you’re familiar with editing colours yourself, then use the HTML code; #654EA3. We’re always here to help. If you need help adding this cosmic colour to your literature simply call our artwork team on 01332 418377.